Loved cutting this, looks beautiful and was way easier to cut than I thought! "As a mother to five young children, we all love going on nature walks! My children are especially interested in all the bugs and insects they can find while we are out. When we see butterflies my children are amazed, mesmerised even, seeing all the bright beautiful colours the butterflies have! Did you know Butterflies can fly up to 12 miles per hour? Maybe that’s why my children can never catch them! My inspiration for this beautiful butterfly paper cut came from seeing these butterflies on our nature walks flying from flower to flower and enjoying life!" "I have always been artistic ever since I was a young child! I remember always having a sketch book to hand, as I loved to draw so much! In my adult life, I have taken my love of art and made it into my career! I am now a Graphic Designer and Artist, and I have sold many of my artworks worldwide. I love all forms of art and graphic design, but my biggest passion is paper cutting art! I love how one piece of normal everyday paper, can become such a stunning work of art! 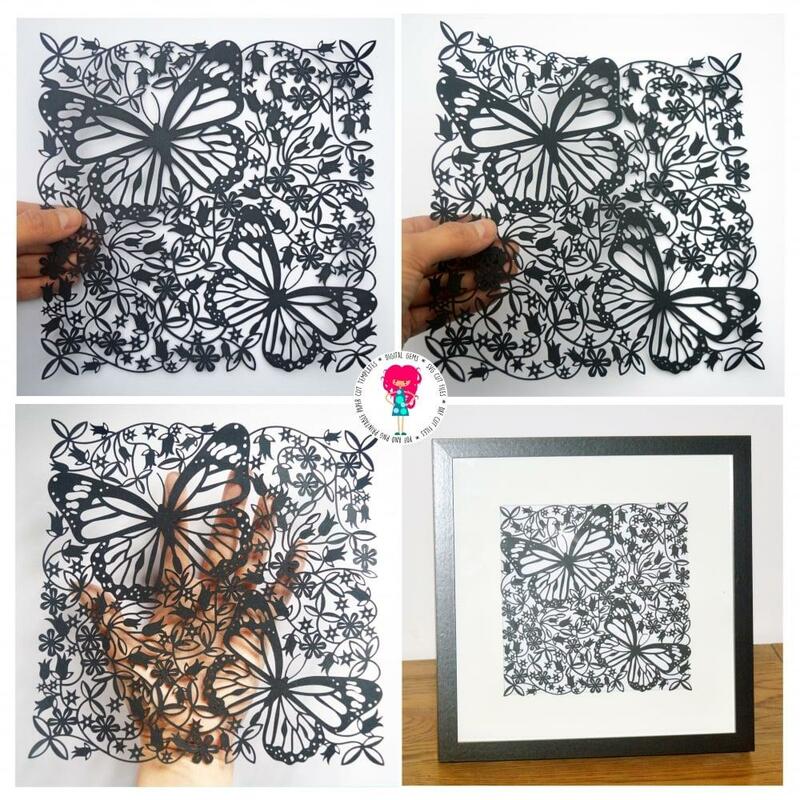 I never get bored of admiring paper cut art! I find the different shadows each paper cut makes mesmerising!"